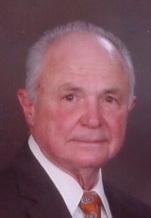 Dr. Thomas Papoutsis Donation - Shippensburg, Pennsylvania | Fogelsanger - Bricker Funeral Home, Inc.
"To the Papoutsis family, We were blessed to meet Tom when were we looking for a"
"We send our heartfelt sympathy to the family. You are in our prayers. Mary, Du"
"We will miss you Theo Tom. May your memory be eternal!!" "Sorry to hear of Tom's passing he sure was a very good man in deed.He was my fam"
"Mary, Duane, Chrysoula, Lee and Evan....deepest sympathy to your family with the"
"Many fond memories of Tom and working for him for 18 yrs. a great man.so sorry f"
"You will be Greatly missed!"